Hiya guys. I'm feeling a bit better after taking a day off from everything yesterday. My hubs wanted me to get some rest, but I insisted that I needed some nail time. He ended up pulling out a table next to the bed and bringing me what I asked so I could do this mani. Such a sweetheart. Before I got started, I ended up filing my nails and went too far. Hence the nubs. Note to future self: please don't ever file your nails when you're sick. 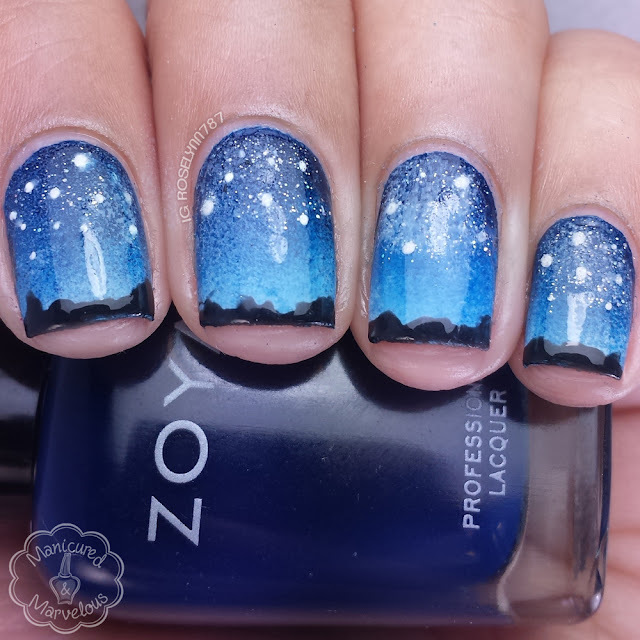 Anyway here's my mani for the July link-up 'Starry Night' presented by the HPB group. While I do really love how this turned out, I wish I could of incorporated all the elements I originally wanted to. The transition from my head to reality isn't always a successful one, but I'm sure my fellow nail artists can relate haha. 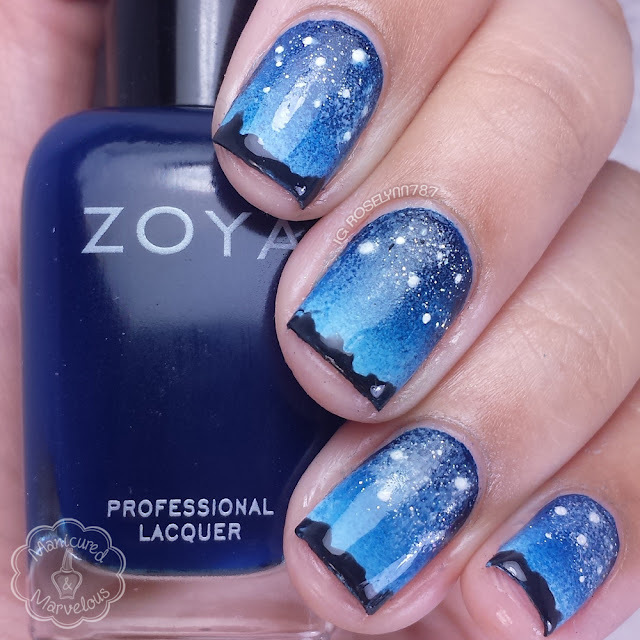 For this mani I used three of my all-time favorite Zoya polishes from the blue color corner: Blu, Ling, and Ryan. I preferred using acrylic paint for the black silhouette mountains and the white stars. 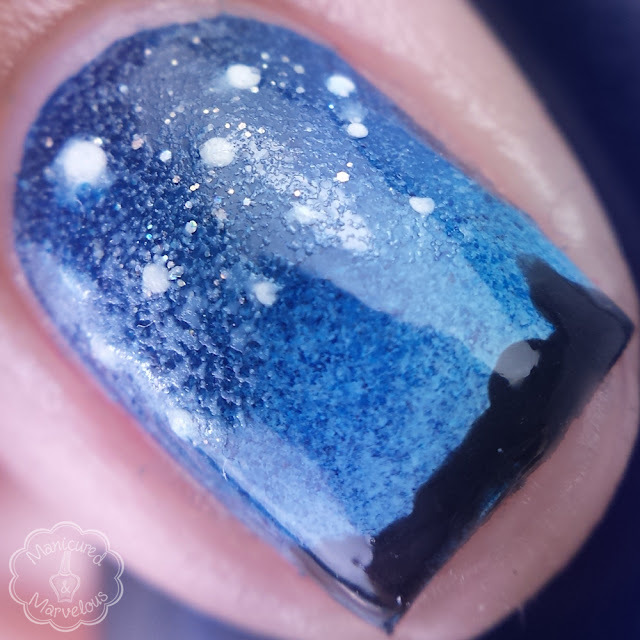 Right before I was getting to take photos I quickly sponged on some Fairy Dust by China Glaze near the stars only. It added such a nice touch! I'm really glad I was able to join the rest of the ladies this month for this great theme! Take a minute and visit some of the other bloggers that participated as well. I wish I had time to participate in this one. It is beautiful to see! Thank you. I'm glad I pushed myself to do it this month! I regret not being able to participate in this one, it's a beautiful theme. your mani turned out great! Hopefully you can join in on the next one! I always have a hard time joining in so I know how it is. Wow you did an amazing job! I feel Ya on the filing too short, hate when that happens! Lol but they do look nice on you! Thanks a lot. Lol. I was so upset about it. I do way too often, but thankfully they grow very quickly. Thanks, I'm glad you love it as much as I do. You totally should! 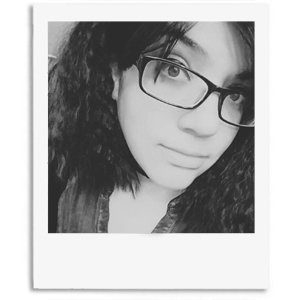 It gives the illusion of being more artsy than it actually is lol. The outcome is just beautiful. I have Zoya's Blue but now see there are two others that I need to get! 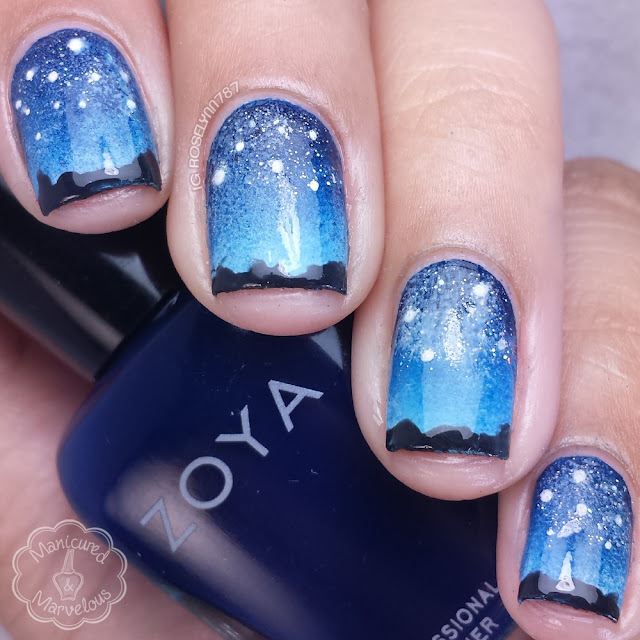 You should definitely grab all the Zoyas haha. They are always my go-to polishes when I do nail art. I need to start participating in these link-up posts. So so pretty. Linkups are so much fun! They are especially great when you're stuck on what to come up with. You should join us next month! Oh this is beautiful. The macro is so great! I love your skyline! Lovely! Even if something turns out different than what you imagine it still looks great to the rest of us. I think it looks great, and I quite like this length- it's enough canvas to work with for something fun, and you've got nail beds I would kill for! Very well done! This is stunning! Love how the skyline looks. Thank you! I'm glad I decided to include it, was much easier than I imagined. Absolutely beautiful. And your nails are gorgeous even short! Thank you! But I am desperate for them to grow just a tad bit more. I'm part of HBP, but I haven't managed to do any of the link-ups yet. I'm loving seeing everyone's interpretations. This is gorgeous! Wow this is gorgeous! You're nails still look very nice. Also your husband is a sweetheart! Lol. These are gorgeous! You did a really good job on the these. This is so gorgeous! I starred at the macro for a few minutes, I really love it.